Thereâ€™s a lot of money to be made in [tag]alpaca farming[/tag] â€” at least for now. But those who have taken the plunge, many of them [tag]Floridians[/tag], say theyâ€™re happy to have an investment they can hug. Mike and Sheila Temple wanted a way to pass the time and earn extra cash after their two sons graduated from high school. [tag]Flipping real estate[/tag] made them some money, but their hearts werenâ€™t in it. They wanted an investment they could hug. 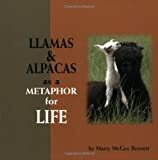 In 2003 the Temples moved from [tag]Palm Harbor[/tag] to [tag]Citrus County[/tag], sold their last property and used the money to buy something entirely different: an alpaca. They now care for 27 of the hug-friendly animals on their 20-acre farm south of [tag]Crystal River[/tag], and they hope a healthy profit is on the horizon.